It's no secret that Apple is interested in creating an augmented reality headset, and has been looking to create one for release sometime in 2020. Now the company may have gotten a bit of a jump start by buying a mixed reality headset startup. Apple has purchased Vrvana, which created the Totem mixed reality headset and, for a short while, ran a Kickstarter campaign for it, reports TechCrunch. 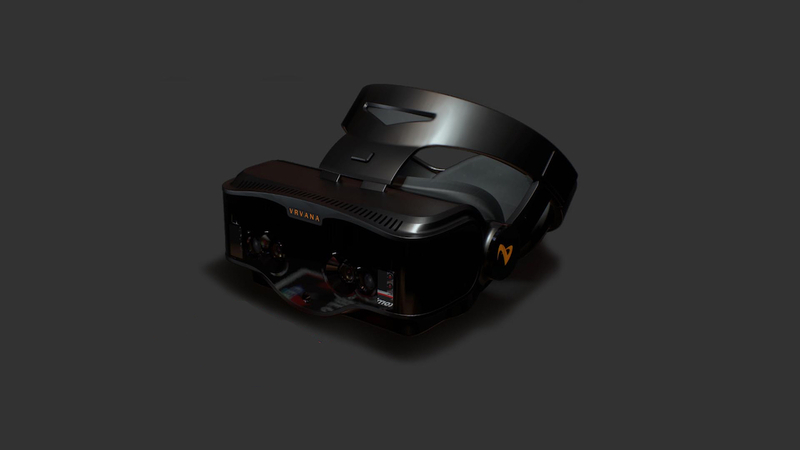 Vrvana never actually shipped its headset, but did preview it several times, winning rave reviews from press. While the Totem was pegged as a mixed reality headset, it turned out to be more of an augmented reality headset. It's a tethered headset that has a couple pass-through cameras on the outside to view the world and display it on the OLED displays on the inside of the headset. Then, the headset would be able to take the real world and overlay things on top of it, even seamlessly switching to virtual reality if needed. The reason Vrvana opted for a camera-based augmented reality system rather than other approaches, which typically uses holograph-like images, is because it provides better color accuracy. There's none of that ghosting effect, instead getting deeper, richer colors and true blacks. The Totem also has 6DoF for head tracking and infrared sensors on the outside of the headset to track a user's hands. However, all of this tech meant that the headset was quite bulky, was tethered, and saw a delay of lag between capturing the world and displaying it in the headset and actually being able to do anything. Vrvana was looking to utilize the Totem for games and entertainment, the general consumer experience, but it was also looking to make it adaptable to businesses. That would fit in well with Apple, a company that likes to create products that can easily scale from consumers to businesses with as little fuss as possible. It's a bit difficult to tell how Apple will use Vrvana and its employees, who TechCrunch say have made their way to Apple's headquarters in California. Apple could just use its employees expertise to assist them in building out its reportedly lightweight pair of AR glasses. The Totem utilizes sensors like infrared in ways that Apple has taken to recently, in products like the iPhone X and AirPods, which uses infrared sensors to map your face for Face ID and to stop playing music when you take an AirPod out of your ear. It's unlikely Apple does something as simple as rebrand the Totem into an Apple headset, as it's way too big and bulky and likely to make Jony Ive weep. However, Apple has not yet issued its customary "Apple from time to time buys companies" line, which essentially confirms that it has purchased companies. It also hasn't denied the news. None of this is hugely surprising, as we know from ARKit that Apple sees augmented reality as one of the next big things.